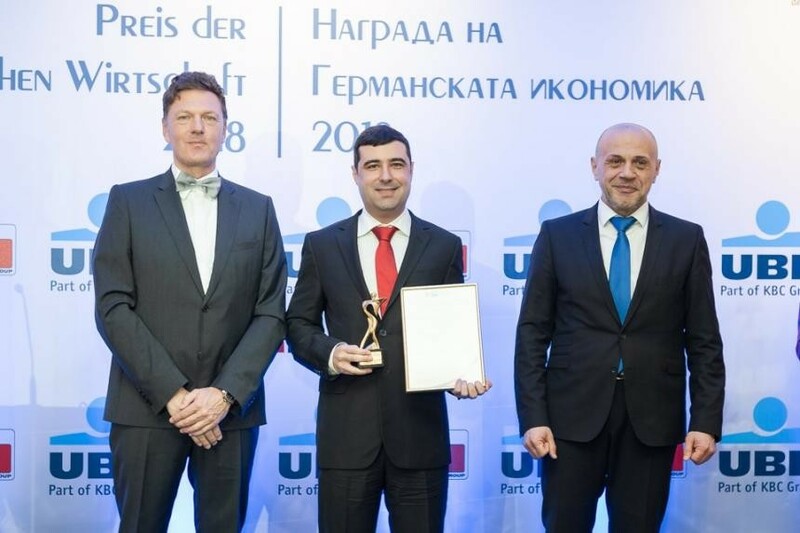 The Deputy Prime Minister of Bulgaria Mr. Tomislav Donchev and Mr.Tim Kurth, the President of the German- Bulgarian Trade Chamber handed the statue "Glory" made by the sculptor Alexander Proinov to Mr. Petar Payakov, Chief Operating Officer of TED BED EAD.In 2018 the company grew its export by 20% compared to 2017, as the share of the export turnover makes 50% of the total turnover of TED BED. TED is the main Bulgarian mattress supplier for the German market and holds a 50% share from the whole Bulgarian mattress export to Germany. For 12 years in a row, the company takes part in Heimtextile exhibition, Frankfurt and for 14 years in a row in IMM, Cologne. In 2018 the firm invested 10 mln BGN in construction and equipment of new manufacturing base situated on 14 000 sq.m. For the successful operation of the modern machinery, the HR department of TED BED currently hires and trains more than 100 new employees. From the fall of 2018 the first group of students from the dual education project of TED and the Vocational school of Interior Architecture and Carpentry "Hristo Botev", Plovdiv, started their training in a real work environment.